Looking "where to sell my BMW M6?" Ask the Chicago Car Club! Are you wondering "where to sell my BMW M6 ?" The Chicago Car Club is interested in classic cars of all makes and models, especially a BMW M6. We make the process of selling your BMW M6 quick and painless. In just a matter of hours we will have your classic valued and, if you do so choose, turned into money in your pocket. All it takes is a phone call or electronic inquiry to get the ball rolling. The BMW M6 was one of the most well-regarded cars of the late 1980s. The angular, shark-nosed look of the M6 made it one of the most distinguishable cars of the era. 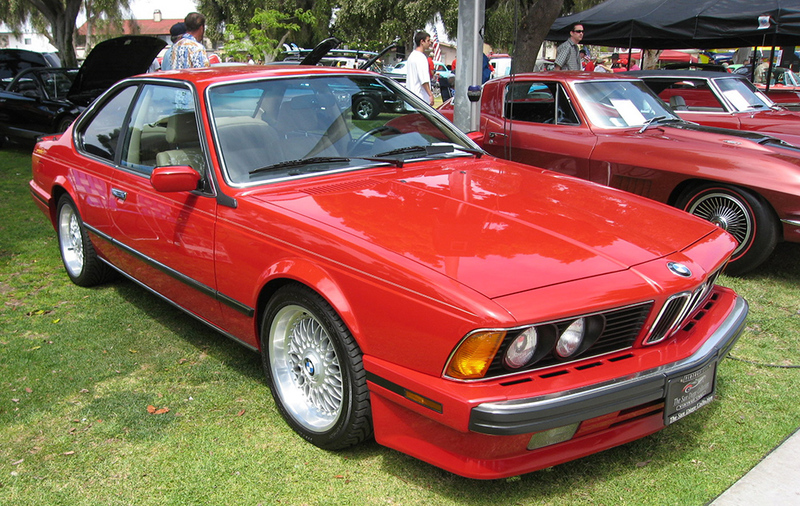 The BMW M6 of the late 80’s feature a two door, coupe style, body that made it perfect for a wide range of drivers. The M6 stayed relatively constant throughout the late 1980’s in terms of acceleration and top speed. The 1988 and 89 models could go from 0-60 mph in 6.8 seconds, while reaching a top speed of 150 mph. The 1987 model was slightly quicker in the 0-60 mph acceleration, covering the distance in 5.9 seconds, and was comparable with a top speed of 149 mph. The M6 didn’t get the best gas mileage, but it wasn’t a lumbering beast by any stretch. It weighed in at 3569 lbs. The M6 of the late 80’s featured rear-wheel drive in every model, while each had a manual 5-speed gearbox. With the M6, BMW succeeded in making a sports car that would be accepted in North America as well as the rest of the world. The model didn’t change much during the ensuing years because BMW didn’t see much of a need to reinvent the model, in fact, the company made the 1988 and 1989 models a “world car,” with the same bumpers and aerodynamic treatments available, regardless of market. Production was stopped in 1989, though the M6 moniker would come back with an all new design in 2005.